What does the pollution from maritime sources mean for the marine life and livelihood of coastal communities around the Gulf of Guinea? What is the effect when oil and pollution from shipping mix in a warm cocktail with heavy metals from mining and other land-borne pollution sources? These questions will be investigated in a joint project between the Centre for Coastal Management (CCM) of University of Cape Coast (UCC), the Technical University of Denmark Institute for Aquatic Resources (DTU Aqua) and the private sector. The project is called HOTSPOT, and is financed by the Danish Ministry of Foreign Affairs through DANIDA. In this three-year project, HOTSPOT will generate knowledge to support research-based management of the marine and coastal resources and environment. The Gulf of Guinea is exposed to multiple stressors, such as discharges from ship traffic, chemicals and heavy metals from mining and oil exploration, and wastes from land. 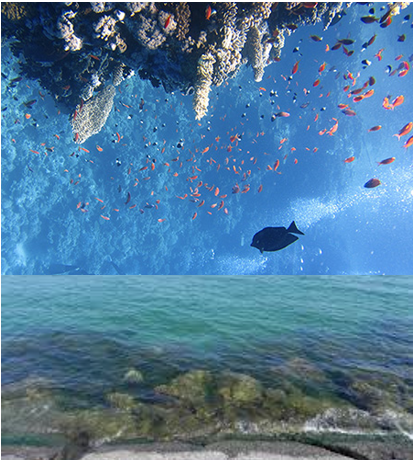 Previous research has shown how these factors individually influence marine life. However, it is far less known how marine organisms react when these factors act together as multiple stressors. HOTSPOT will investigate these problems by conducting small and large-scale laboratory experiments, combined with modelling.